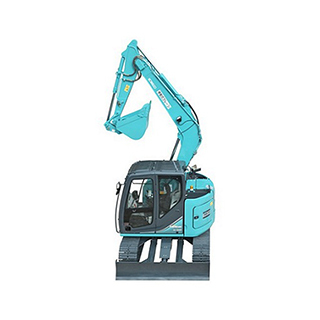 Kobelco excavators have a reputation for being highly fuel efficient, reliable and quiet to operate. Many businesses count on our excavators to deliver top-class performance along with strong support from our dealer network to provide great after-sales support and service so they can focus on what matters - keeping their clients happy. Purchase a Kobelco before 30th June and you could go in the chance to win a Japan trip for two plus gold class hospitality packages to the 2019 Rugby World Cup quarter finals and more. Terms and conditions of entry apply. Click here for more. Check out our range of excavators today and ask us for a quote. 2 Year / 3,000 Hour Full Factory Warranty + 4 Year / 6,000 Hour EPT Warranty. The Kobelco revolutionary Integrated Noise and Dust Reduction Cooling System delivers ultra-low noise during operation. The filter effectively removes dust particles which helps the cooling unit maintain the ideal heat balance. Enhancement: New hydraulic circuitry minimises pressure loss. Economy: Highly fuel efficient engine and high structural durability retains machine value for longer. Environment: Features that go easy on Earth and noise reduction measures which minimise noise and vibration. 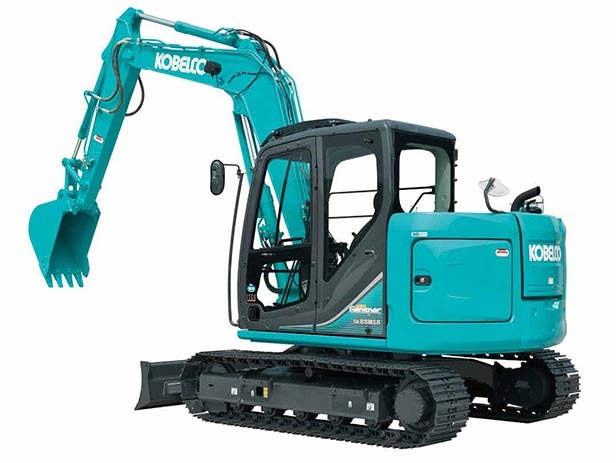 Kobelco Finance is easy and available to apply for through our experienced dealer network. Kobelco has over 80 years of experience developing pioneering technology with the support of the Kobe Steel Group. Our excavators are fuel efficient, powerful, safe and comfortable and are highly appreciated by customers. Record operating hours onsite accurately e.g. running times for rental machines etc. Accurate real-time location data can be obtained. Collect Fuel Consumption Data and Idling Times. Graph of how working hours are divided among different operating categories e.g. digging, idling, travelling etc. Provided on machines at multiple sites to personnel for more efficient planning of servicing required. Triggers alert if anomaly is sensed, preventing damage that could result in downtime. Engine Start Alarm can be set to sound if the machine is operated outside of designated time. Alarm is triggered if the machine is moved out of a designated area to another location. Status check from computers or smartphones via email or internet. Operational data can be downloaded to a computer for daily and monthly reports. Compact working radius ideal for road work in tight spaces and perfect for continuous digging, swinging and loading. Operator will also experience powerful swing torque which makes any task faster. Our travel motor boosts travel torque by 6%, and lighter machine weight improves steering performance for better manoeuvrability and crisper turns. Convenient and comfortable "on the ground" maintenance. All components that require regular maintenance are laid out for easy access. The servicing jobs can be completed from ground or in the cab. ROPS (Roll-Over-Protective-Structure)-compliant cab clears ISO standards and ensures greater safety for the operator. "The controls are the smoothest I've ever used, it is quiet both inside and outside the cab, and it's roomy and comfortable. That's what you want when you're spending long hours each day in there." "We pride ourselves on the provision of comfortable, quality equipment and over the years; we've found the Kobelco range to be a brand that delivers in these key areas. Feedback from customers to date on the range of excavators has been extremely positive." "Kobelco is the ideal choice because, right across the range, the equipment is versatile and can be fitted with a wide variety of attachments to suit our individual business needs, ranging from undercutters, sleeper grabs to buckets for cleanup work, jackhammers and rocksaws." "It's beautiful inside; everything is adjustable to suit the operator. There's good air conditioning and it's a very quiet machine. 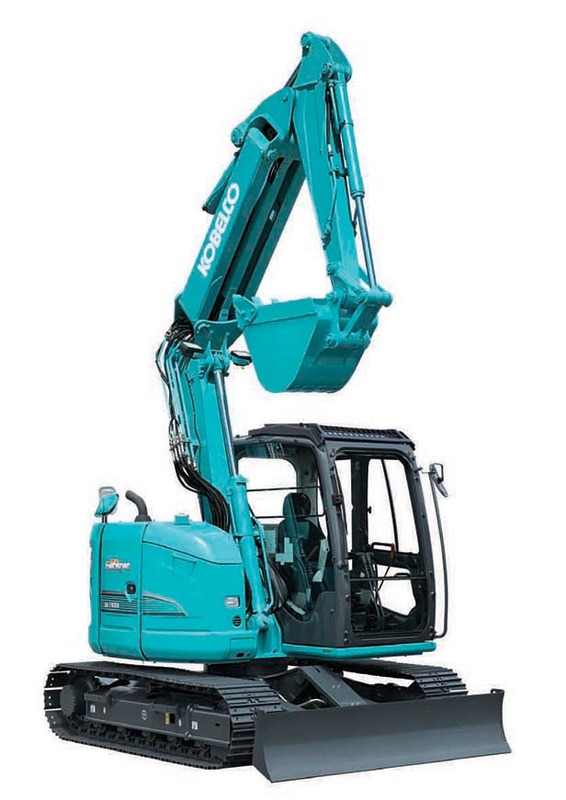 Kobelco machines also go two days on a tank."